The time is right! LED headlight in the car range are already used so we are waring for the first LED motorcycle with LED bike lights. We are already curious about which mark will play the role of the pioneer. We remain at the ball! Today's conditions of the development: Most experts, some years ago still did not forecast an introduction of LED headlights on the market before the year 2010. One was mistaken, because the first LED headlights came already 2007 on the European market. This was realized, since the manufacturers such as AUDI and Lexus at the European Union effort for a special permission. Only since short the LED functionality was introduced to the ECE (Economic Commission for Europe) regulation R112 and discharged for AFS (adaptive front lighting system) functions in the GRE. The LED development in the last years increased to such an extent that in the meanwhile that even high beam with LED is realizable. The company Hella plays the guiding role in this area for years. Today the light achievement reaches in the meantime that from xenon headlights. 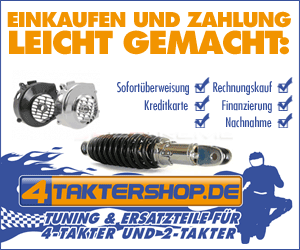 Please visit your German LED Bike Site. There you will find much more INFORMATIONS in 60 languages! LED lamps for the auxiliary functions how: Parking light/clearance light (day headlight), stop light, turn signal, fogbacklight, back headlight, registration plate light, tuniglights or tail lamps to be used. LED headlight, which is used as headlight low beam. Full LED headlight, with which all functions before specified as well as the high beam are realised. The functions mentioned usually become as reflection system, as projections system or as e.g. with turn signals or parking light as light stripes. Here one should mention also the Oleds and Luminescence Sheets, which will surely play soon a prominent role in display aria. Wheel LED light, a very nice Video!